Blackjack is a widespread casino game which is played by players all over the world. The game has been a center of attention for many years due to the fact that it offers a simple yet exciting gameplay. Nowadays, along with the classic game, you can also find a number of different versions provided by numerous land-based and online casinos. 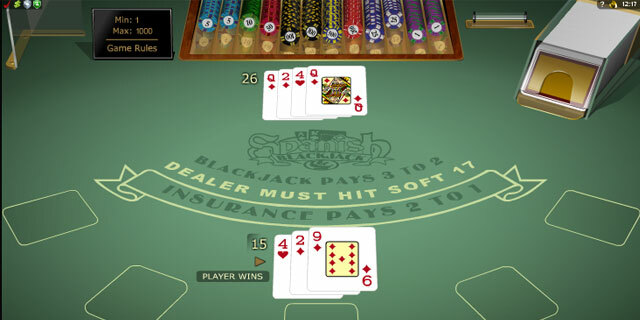 Blackjack is played by many players, located in various spots all over the world which led to the idea that the game should be adopted according to their needs. This is the reason why a number of exciting variations have emerged as they offer gamblers different rules and thus, different experience. Some versions feature special side bets, whereas others change the number of decks in use and alter the rules a bit more. One of the most popular games of blackjack is called Spanish Blackjack and it is one of the most exciting versions. You can also find it in some casinos under the name of Spanish 21. 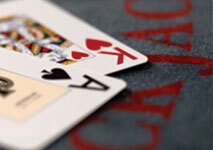 Since Spanish Blackjack is just a variation of the classic game, its basics remain the same. The main rules and the assigned value of the cards are also no different. In this game your aim is to beat the dealer and he is the person against whom you compete. Even though there will be most likely other players sitting on the table your only aim is form a strong hand whose total is better than the dealer’s. The maximum points that you are allowed to get are twenty one and if you surpass this number, you automatically go bust or in other words, you simply lose your bet. All of the cards are worth the value on them, except for Queens, Kings, Jacks and Aces. The face cards are counted as ten points and the ace can be either one or eleven. These are the basics of the game which every player should get familiar with. Now let’s proceed by taking into account the differences this variation has. One of them is that unlike the classic game, this version is played with a deck which features only 48 cards instead of 52. The reason why is that all four tens are removed from each pack. The game is usually played with either six or eight decks which are adjusted beforehand according to the above-mentioned specification. This rule works entirely in favor of the casino and it is a big disadvantage for the players as they have much better chances of winning if the deck is rich in tens. There is one more additional rule which makes this game even more distinguishable and exciting. It works in favor of the players and it is known as The Super Bonus Rule. If you are lucky enough to get three 7’s from the same suit when the dealer’s up card is also a seven, you qualify for a generous bonus. The bonus strictly depends on the amount you have wagered beforehand. If you have placed a bet whose amount ranges between $5 and $24, then the size of the bonus is up to $1,000. However if you have wagered at least $25, then its amount usually comes up to $5,000. It should be noted that these bonuses don’t apply if you have already doubled down or split a pair. The fact that all of the tens are not included in this variation plays a crucial role as it increases the houses edge significantly. However, it should be noted that there are various additional rules which have been especially designed to work in favor of the players. The house edge just as in the rest of the variations depends to a huge extent on a number of factors such as the automatic dealer’s play and the decks involved in the game. You should bear in mind that the house edge is usually estimated, providing that players use the basic strategy. If the dealer hits on soft 17 and the game is played with eight decks of cards, the house edge is 0.80%. However if he is required to stand on soft 17, then the house edge is much more beneficial – 0.38%. If the dealer hits on soft 17 and you are not allowed to redouble, then the house edge is approximately 0.76%. Spanish Blackjack is one of the most popular variations of the game which is played by a number of players all over the world. It features great bonuses which make it extremely appealing. Nowadays, this interesting variation can be found in many brick and mortar casinos as well as online due to the fact that it has proven to be very popular among blackjack players. It is undoubtedly a game which is worth a try however before doing so make sure that you get familiar with all of its rules and subtleties.